In this book the renowned medievalist G.R. 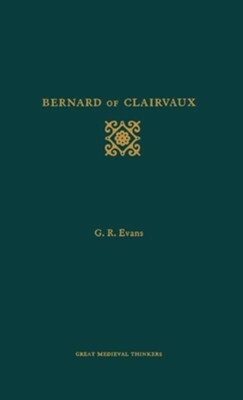 Evans provides a concise introduction to St. Bernard of Clairvaux (1090-1153), a figure of towering importance on the twelfth-century monastic and theological scene. After a brief overview of Bernard's life, Evans focuses on a few major themes in his work, including his theology of spirituality and his theology of the political life of the Church. The only available introduction to Bernard's life and thought, this latest addition to the Great Medieval Thinkers series will appeal to a wide audience of students and scholars of history and theology. I'm the author/artist and I want to review Bernard of Clairvaux.